Spring is around the corner! Buffalo Bills Orange Blossom Cream Ale Release Party! 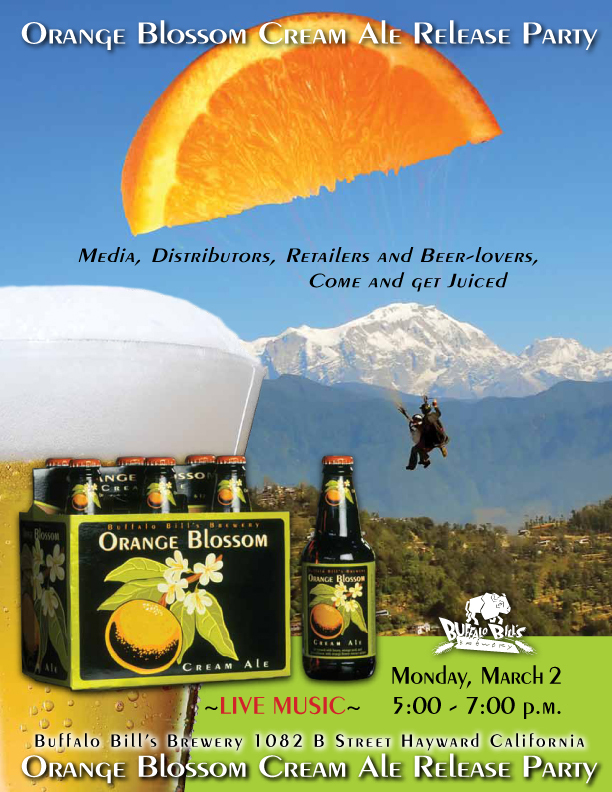 If you live anywhere near Hayward, California you might just want to head over to the historic Buffalo Bills Brewery and join them for their Orange Blossom Cream Ale release party. If you though watching a rat climb out of a box on ground hog day was a good hoot, think about drinking some good beer with the BBB crew (lots of girls work there!) and enjoying some orange blossom in your beer.